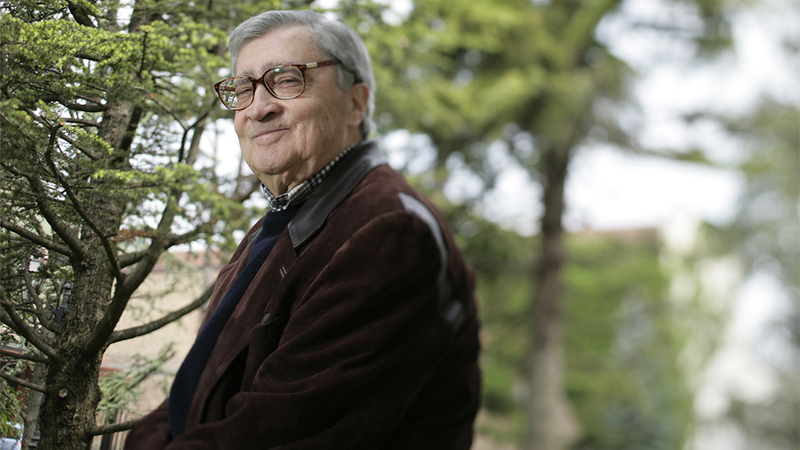 With the passing of Bruno Giacosa the wine world loses a titan. Bruno Giacosa’s accomplishments during a career that spanned eight decades are almost too many to list. Giacosa leaves behind a rich, eternal legacy of brilliant wines and unforgettable memories for those lucky enough to have spent time with the Maestro of Nebbiolo. Bruno Giacosa was a pillar of the generation that saw Piedmont go from the stark poverty of the 1950s to the economic prosperity of today. He was also an innovator in so many areas that are now considered standard practice. Giacosa was the first producer in Piedmont to wholeheartedly embrace the philosophy of single-vineyard, cru Barolo and Barbaresco, one of the first winemakers to have a state of the art cellar with temperature control, an early adopter of French oak and among the first producers to send wines into a lab for technical analysis. For these reasons, Bruno Giacosa has always been, in my eyes, Piedmont’s first progressive, modern producer. But ultimately it is about the wines. The 1961s and the 1964s are still sublime. The 1971s are all finesse, while the 1978s are still shockingly young. I have always admired the precision of the 1982s and the exotic perfume of the 1989s. Giacosa's 1996s are just beginning to enter their sweet spots. The 2001s, 2004s, 2005s and 2007s will thrill those lucky enough to own them for years and decades to come. But Giacosa also excelled in less storied vintages. His 1969s, from a long-forgotten, rainy harvest, aged beautifully, while the 1986s, one of my personal favorite vintages (and a year Giacosa himself favored over the more hyped 1985s) remain under the radar gems. Bruno Giacosa was born in 1929 to a family of winemakers. Historical records show the Giacosas bottled wines as far back as the late 1800s. By the time Giacosa started working in the family business at age 16, the Giacosas had transitioned from the harder life of selling bottled wine to the trade of brokering grape contracts between farmers and the large bottlers of the era, such as Borgogno, Pio Cesare, Serafino and others. The Giacosas were mostly mediatori (brokers), although they also made and sold a little of bulk wine as well. During these years, traveling around the Langhe with his father, Giacosa quickly learned which vineyards produced the best grapes. An assortment of Giacosa masterpieces. Note the use of the word ‘cru’ in the 1964 and 1967. Around 1960, Giacosa decided to strike out on his own and bottle wines under his own label, just as his grandfather had done previously. This did not sit well with Giacosa’s father for a number of reasons, including the inherent conflict of interest for the family that existed in both brokering grapes and keeping some of the fruit (presumably the best) for themselves. Giacosa defied his father and set up shop anyway. The rest, as they say, well the rest starts with a majestic 1961 Barbaresco Riserva Speciale that remains thrilling to this day. That wine was followed with numerous masterpieces that made vineyards such as Collina Rionda, Falletto, Villero, Santo Stefano di Neive and Asili, among others, famous the world over. My father introduced me to the wines of Bruno Giacosa when I was in high school. At the time, my parents owned a food and wine shop. 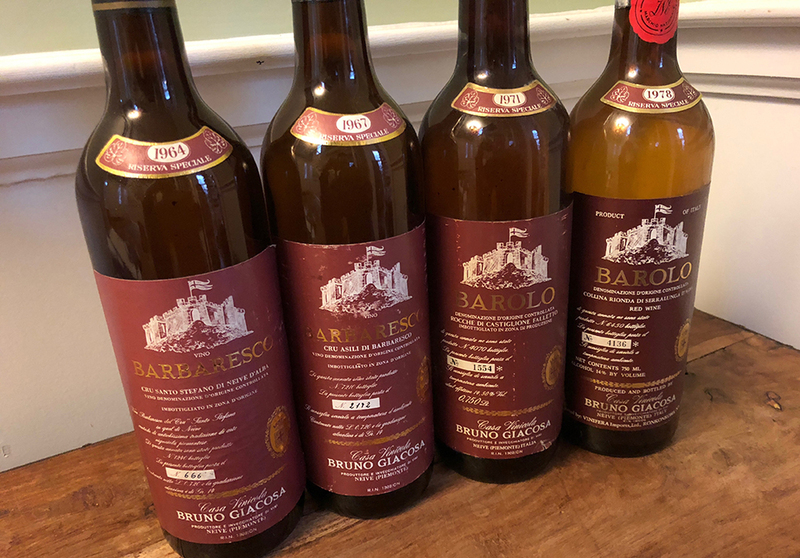 They sold a number of top wines, but my dad always had a gleam in his eye when he brought a bottle of Giacosa Barolo or Barbaresco home for dinner. In those days and for many years that followed, the Giacosa wines were known only to a handful of faithful Piedmont lovers. I remember paying $55 a bottle for the 1989 Santo Stefano Riserva upon release. It was the most I had ever spent on a bottle of wine. I was not disappointed, let's leave it at that. Numerous visits with Giacosa and his longtime winemaker Dante Scaglione remain vividly etched in mind as some of the greatest tastings of my life. Even though being late is part of Italian culture, I was never late to a tasting with Bruno Giacosa. I did not want to miss a single minute spending time tasting with him, which I regarded as a privilege. Tasting Giacosa's wines from barrel and following their evolution from cask to bottle was thrilling. The hours passed by effortlessly. Even before he fell ill in 2006, Bruno Giacosa was a man of very few words. The suggestion of a smile occasionally appeared, but only when a wine particularly pleased him. Pointed questions elicited short, succinct replies. “É buono” (it’s good), he would say. Even so, Giacosa’s immense pride in his work was evident. Words were not really necessary. These wines spoke volumes. The feeling in the room was more than enough to understand everything. I often walked out of that tasting room with goose bumps. The wines were every bit that emotional. And the quality of the young wines was always easy to see from the very first taste. I am often asked what makes Barolo and Barbaresco so special. It’s really very simple. There is a humanity in these wines that is hard to describe with words, but that is so evident when you encounter it. You don’t taste these wines, you experience them. Barolo and Barbaresco can at times be difficult. In other moments they are more sensual. The wines constantly change in the glass, offering tremendous aromatic depth and myriad shades of dimension that unfold over hours. 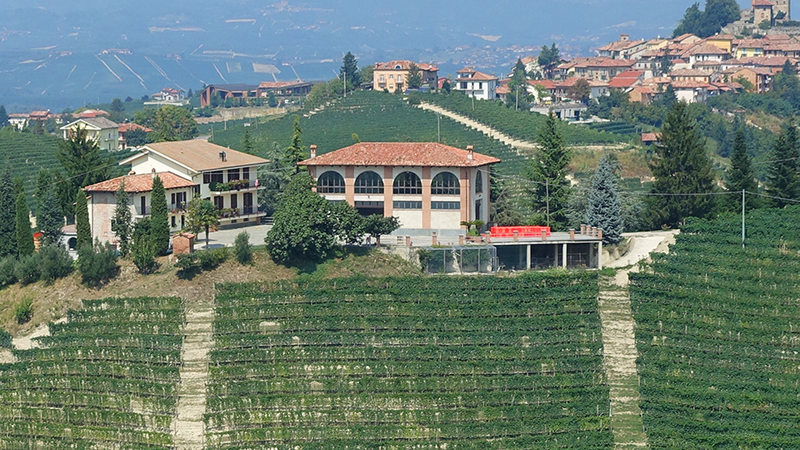 But above all else, Barolo and Barbaresco are poignant, deeply expressive and human. No one made more human wines than Bruno Giacosa. For that reason, I will miss him deeply. Bruno Giacosa portrait courtesy of Clay McLachlan.